I think that of the post-Marked Men bands, Low Culture is the one that doesn't seem to get quite as much attention as they deserve. I've always thought that to be weird as this is a band that has been churning out hit after hit after hit. If nothing else, I personally find them to be more consistently enjoyable than Mind Spiders. The main reason I like Low Culture so much is because they are not afraid to put out basic, but extremely catchy songs. They've not experimenting for the sake of it and they aren't trying to reinvent the wheel. 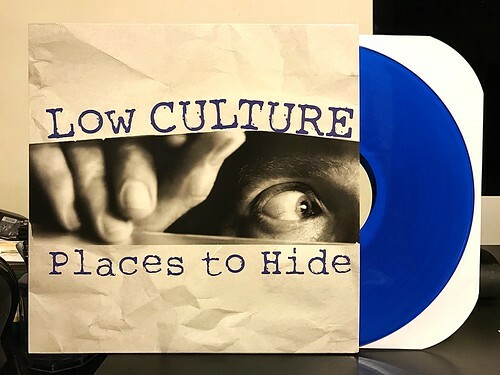 Low Culture wants to play their guitars really loud and really fast, leaving nothing but big hooks in their wake. That formula works out on Places To Hide. It's every bit as good as their prior full length Screens. In particular, songs like "Slave To You," "Hate Me When I Go" and "Evil" just get better every time I hear them. Though, honestly, the same can be said about this entire record. The first time I heard it, I liked everything, but it sort of passed by in a whirlwind. The more I listen to it, the more each songs greatness starts to reveal itself. It's just a fantastic album start to finish.